The Event Site Center is wrapped up for the 2018 season and will resume in May of 2019. For any questions please call us at 888-509-4210. Be sure to check out the used SUP boards section for great deals on our rental equipment. 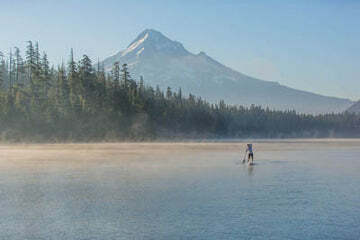 Located in Hood River, Oregon, in the Columbia River Gorge, Big Winds offers a range of lessons for all abilities and ages. All lessons include gear: board, paddle, leash and pfd. Learn the basics and be up and paddling in no time. Suitable for the whole family. Prerequisites: swimming ability; minimum age: 12 years. Reservations can be made by phone (888-509-4210 or 541-386-6086) or email: rentals@bigwinds.com. Whether you're just starting out or are a skilled paddler working on your race technique, downwinders or swell riding, our expert instructors can tailor a lesson to fit your needs. What you learn is up to you; the possibilities are endless! Individualized instruction will elevate your standup paddle boarding to the next level.